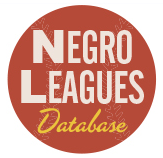 Earlier this year Kino released â€œReel Baseballâ€ a collection of deadballÂ era films. It is a remarkable collection of shorts and features that were made in the early days of film.Â However, much more was filmed in the early days of cinema than made it into that collection.Â What is probably the single most interesting and historically important film of the deadball era is long gone. I am talking about â€œThe Giants-White Sox Tour.â€ This film had it all. Christy Mathewson, Mike Donlin, Germany Schaefer,Â Charles Comiskey, John McGraw, Fred Merkle and possibly most interesting, Jim Thorpe in his prime. This film more than any other might rightly be considered the â€œHoly Grailâ€ of the deadball eraâ€™s lost films. 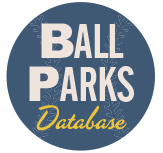 Among its many attributes are the facts that its director began making films under Thomas Edison and that it was photographed by a man who would one day win an Academy Award for his cinematography.Â It was the first full-length sports documentaryÂ Â produced and it was also the most geographically wide-ranging baseball movie that has ever been filmed.Â Footage for this opus was filmed on five continents and the high seas. Parts of it were filmed in the United States, Japan, China, the Philippines, Australia, Ceylon, Egypt, Italy, France, and England.Â â€œThe Giants-White Sox Tourâ€ was filmed as the New York Giants and the Chicago White Sox barnstormed their way around the world during the winter of 1913-1914. In theory there should be no way to tell what was in this lost film. If one goes to the Internet Movie Data Base all that is learned about the movie is its release date, April 12, 1914, and its intriguing cast list.Â There is no plot synopsis, not even a director mentioned. Most sources simply state that the film is a documentary. There are other sources one can turn to for some illumination.Â The New York Times provides a review of this film. From the review published on April 13, 1914 we learn that this is more than a mere travelogue. â€œUnable to wait for the opening of the season, 3,000 or 4,000 lovers of the sport went to the New York Theater yesterday to see the first display of the films depicting the events in the world tour of the Giants and White Sox. They were not only able to see the tourists in action , and the human side of the idols, McGraw and Callahan and Comiskey and all the rest about whom they had read, but also to take a trip around the worldÂ in a very interesting travelogue. Confirming that this film was not a pure documentary but an odd combination of comedy and adventure is the following passage from the San Francisco Chronicle of November 16, 1913. The Giants-White Sox Tour began on October 18, 1913 in Cincinnati, and reached San Francisco on November 14, 1913. San Francisco hosted three games of the tour including a morning â€“ afternoon doubleheader with Oakland. A film camera had been shadowing the baseball players since their arrival in California. The film crew consisted of film director Frank McGlynn and his wunderkind cameraman Victor Miller who was just 19 years old. Produced by the Eclectic Film Company, financing came largely from a man named Jack Gleason who got a screen credit as â€œpresenterâ€ of the film. Before filming in San Francisco they shot some footage that every baseball fan would give his left arm to see. In Oxnard, California, on November 11, 1913 they filmed the race around the bases between Hans Lobert and a horse. Perhaps the most famous incident in the classic book, â€œThe Glory of Their Times,â€ by Lawrence Ritter; it is amazing to think that this incredible race was actually recorded on film. More frustrating is to realize that it is lost. As to the film crew. Frank McGlynn, Sr. was 27 years old in 1913 and had already built a somewhat successful career as a film director and actor. He had begun directing in 1910 for Edison Manufacturing Company with â€œPardners.â€Â By 1913 he had followed the movie industry to Hollywood and had spent most of the last few years acting. All the evidence suggests that he also played the part of the â€œbugâ€ in â€œThe Giant-White Sox Tourâ€ taking on both the director and actor roles. His camera man was the impossibly young Frank Miller. Miller had gone from lab assistant at age 15 to cameraman, to full fledged cinematographer just four years later. â€œTourâ€ would be his first full-length feature. So what did this enterprising duo film? 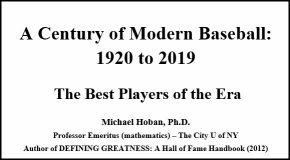 The answer to that is found not only in the newspapers of the day but also in a five part serial published in â€œThe Baseball Magazine,â€ written by Frank McGlynn and published in five parts from August to December 1914. McGlynnâ€™s writings provide the most detail as to what he filmed. What an adventure the tour must have been. Leaving Seattle on November 19, 1913 the tourists sailed for Victoria, British Columbia, where aÂ Canadian liner, the â€œRMS Empress of Japanâ€ began the trek to Japan. The crossing was miserable with high seas and winds for nearly all of the journey.Â On November 29 the Empress encountered a typhoon, easily the worst storm to have hit the North Pacific in twenty years.Â During the storm McGlynn and Miller risked coming on deck and filmed the storm.Â As the Empress shipped fore and aft with water invading the coal bunkers, Miller had the camera running. Somehow the enterprising youngster kept sea and rain water out of the camera. Later the storm would intensify and nearly sink the vessel. The tourists received a heroâ€™s welcome when they arrived in Japan, two days behind schedule, on December 6, 1913. McGlynn had Miller film the games that the Giants and White Sox played against Japanese nines. The really interesting story occurred a few days later when the group arrived in Nagasaki, Japan. The fastest coaling station on earth, it was here the Empress took on coal for the rest of her journey. Unlike the rest of Japan where women were confined to the home, in Nagasaki women preformed the coaling duties. Thousands of young women with baskets on their heads filled great steamers in a matter of hours. Ordinarily, the Japanese government banned photography. However, Frank McGlynn discovered that a few bribes would not only let him film the coaling operation but also allow him to put up the tripod downtown Nagasaki as well. Today, no known film of the Japanese coaling operations exists. Space does not permit recounting all of the minutia which McGlynn and Miller filmed, however some highlights would have to include shots of the games in the Philippines, theÂ Governor General of Australia throwing a baseball cricket bowler style. In Ceylon, they were guests of honor at a tea party given by Sir Thomas Lipton, the richest man in the world. A game was played in the Egyptian desert before the last khedive of Egypt. For me the single most interesting footage were the scenes shot on February 12, 1914 in the Colosseum in Rome. Fred Merkle wrestled Jim Thorpe in an event staged for the camera. Amazing as it seems today there is no footage of Jim Thorpe in his athletic prime. The greatest athlete of the first half of the Twentieth Century was never captured doing anything athletic on film save for McGlynnâ€™s lost work. The wrestling match started out good naturedly but soon turned real as the New York first baseman had no desire to be bested by Carlisleâ€™s finest. In the end Thorpe overpowered Merkle and stood with his foot pinning Merkleâ€™s arms to his back while Steve Evans, sitting in for the Emperor, gave thumbs up. While in Rome the tourists also had an audience with the pope. In Nice, France, the tourists arrived in time for the carnival and rode down confetti filled streets in an open carriage in their baseball uniforms and fit right in. Before the game Jim Thorpe gave in to the requests of the crowd and put on an exhibition with the shot put and discus. During the game Germany Schaefer came to bat wearing a Mardi Gras mask and put the crowd into hysterics. The tour closed in London on 26 February, 1914 before 20,000 fans and king George V himself. Footage was taken of the king of the realm shaking the hands of the players. By all accounts the king enjoyed himself heartily. Contemporary photographs captured the King with a broad smile during the contest. As for the filmmakers they arrived back in the United States with the players aboard the Lusitania (yes that Lusitania) on March 6, 1914 to one of the greatest welcomes New York had ever seen. In just over a month they had the film edited and ready for exhibition.Â The film played in New York and other cities. No box office tallies are known. Its fate after its initial release is a total mystery. The two men, however, took completely opposite tracks once the film hit the exhibition circuit. Victor Miller changed his last name to Milner and became a legend at Paramount Studios.Â Nine times he was nominated for the Oscar for best cinematography, winning the 1934 statuette for â€œCleopatra.â€Â Milner worked in every genre as well as black and white and color. Cecil B. DeMille simply adored having him behind the camera when he was making an epic. Proving that he had the admiration of his peers, he served as president of the American Society of Cinematographers (ASC)Â from 1937-1939. Milner lived until 1972. He was the last participant in the film to pass away. Frank McGlynn, Sr. rarely directed movies after â€œTourâ€ and settled into a long career as a supporting actor in films. Never a star, he was nonetheless in steady demand in Hollywood, up to his death in 1946, as a character actor. Oddly, he was the preferred choice of tinsel town producers to play Abraham Lincoln. McGlynn portrayed the Great Emancipator no less than six times on the silver screen; this record will probably never be excelled by any other actor. â€œThe Giants-White Sox Tourâ€ remains perhaps the most frustrating of lost baseballÂ Â Â films. What fan would not want to see Hans Lobert nearly beat a horse around the bases? Who would not want to see the interaction of Sir Thomas Lipton and Germany Schaefer, who struck up an instant friendship in Colombo? At this juncture we donâ€™t even know how Jim Thorpe moved.Â McGraw, and Comiskey were in their prime as were all of the ball players. Once upon a time audiences went to the theater and participated vicariously withÂ Christy Mathewson, Tris Speaker, Mike Donlin, and a cast of thousands as they performed a feat thatÂ has never been repeated, namely, take a baseball tour that circled the world.Â It is truly a shame that we can not join them. â€œWorldâ€™s baseball tour in ‘movies’â€ The New York Times, April 13, 1914 p. 9. McGlynn, Frank, â€œStriking Scenes From the Tour Around the Worldâ€Â The Baseball Magazine, August â€“ DecemberÂ 1914. 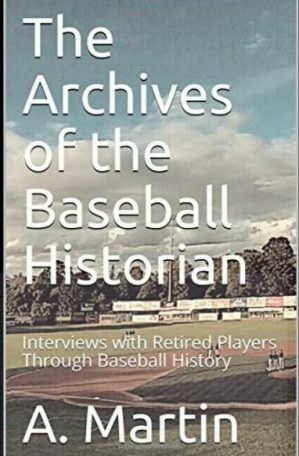 My book, The Tour To End All Tours: the Story of Major League Baseballâ€™s 1913-1914 World Tour (2003 Nebraska) gives a fuller account of the film as well as the adventures of the players. A great read. Good work! !